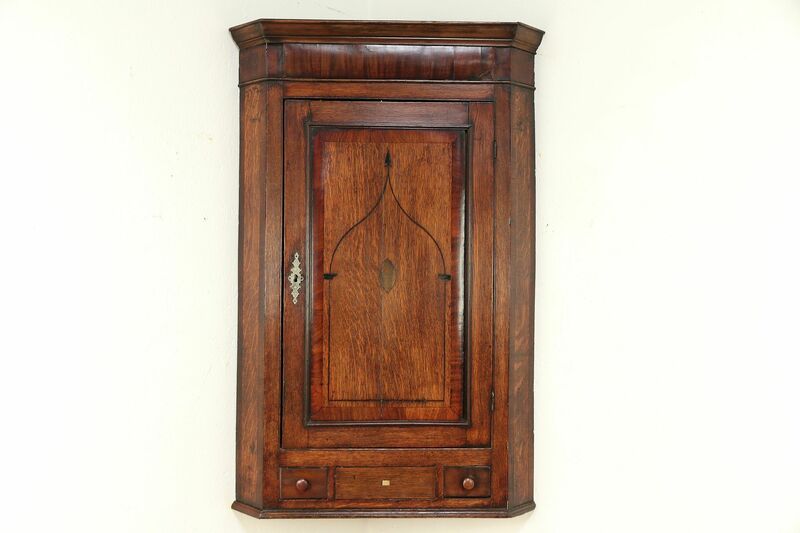 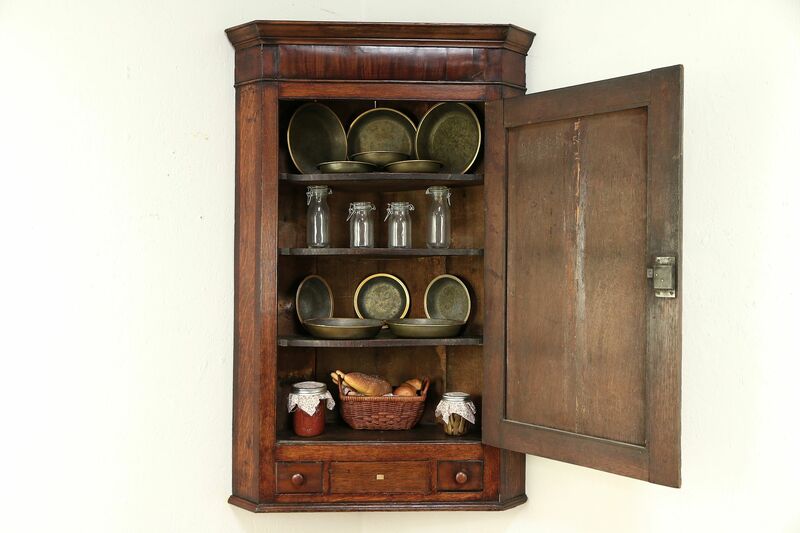 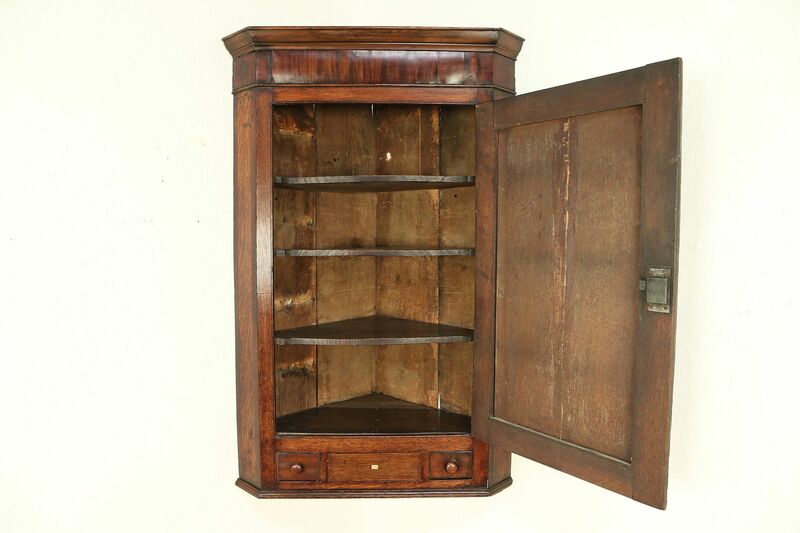 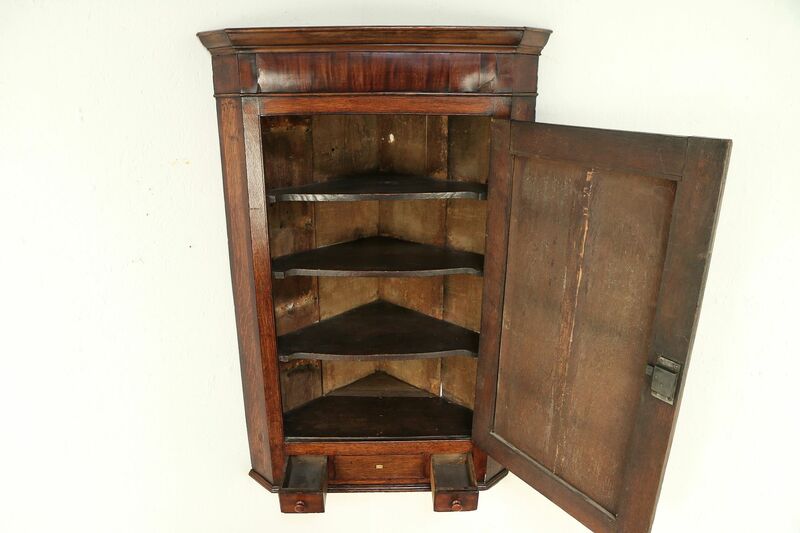 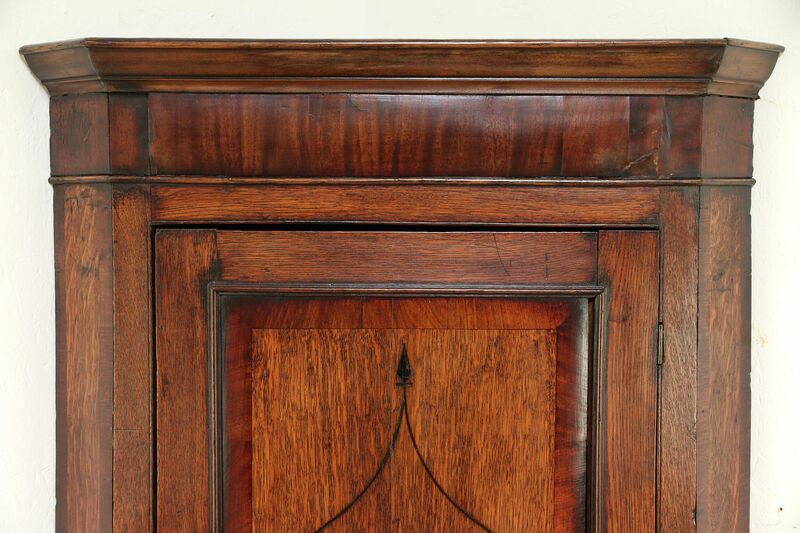 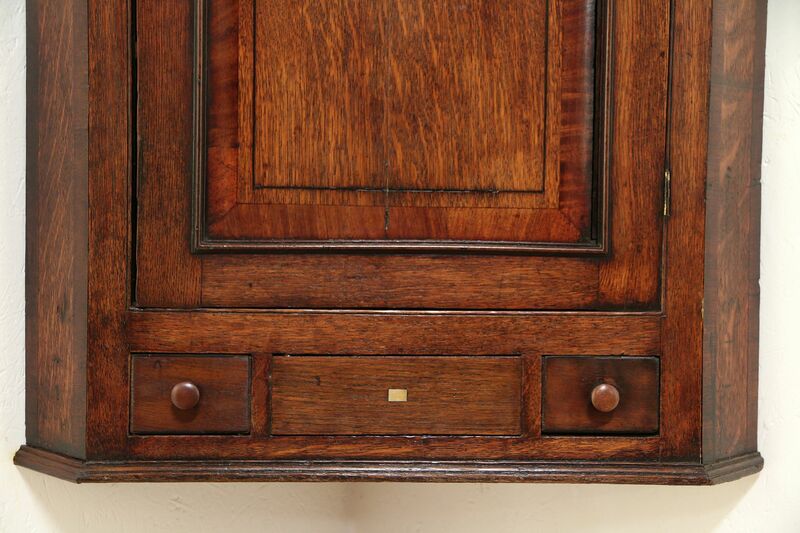 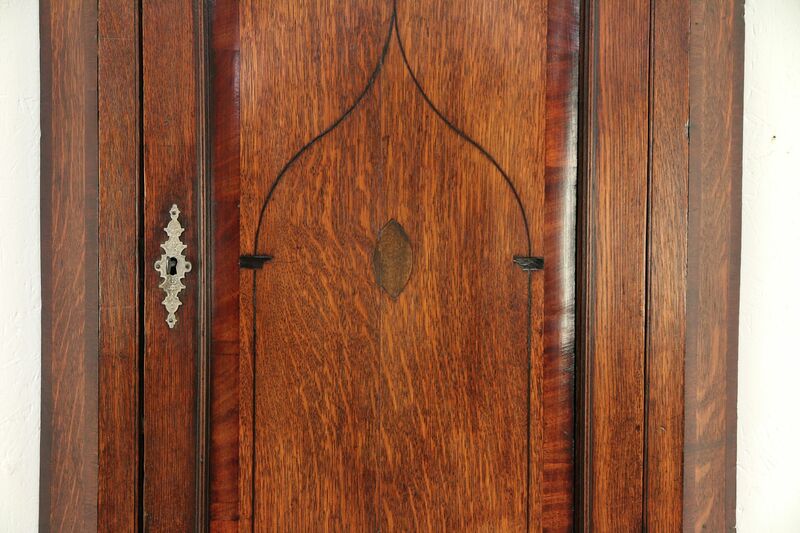 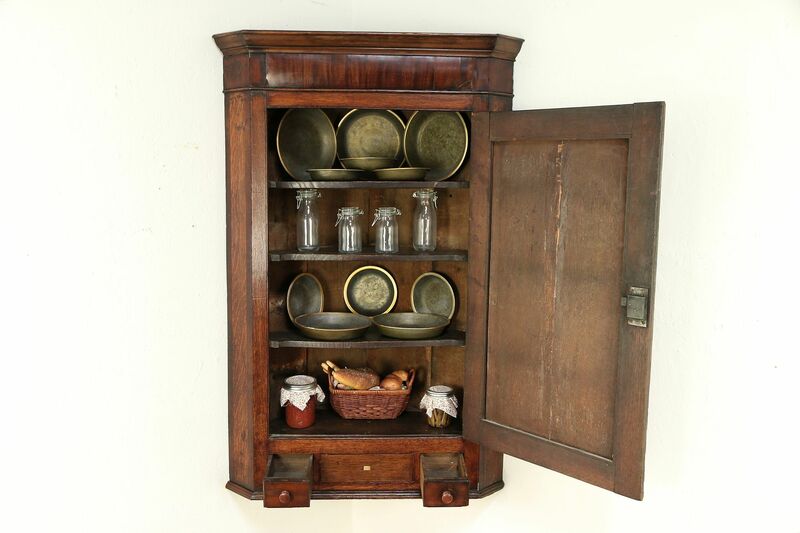 A picturesque oak corner cabinet with mahogany banding was hand crafted about 1870 in England. 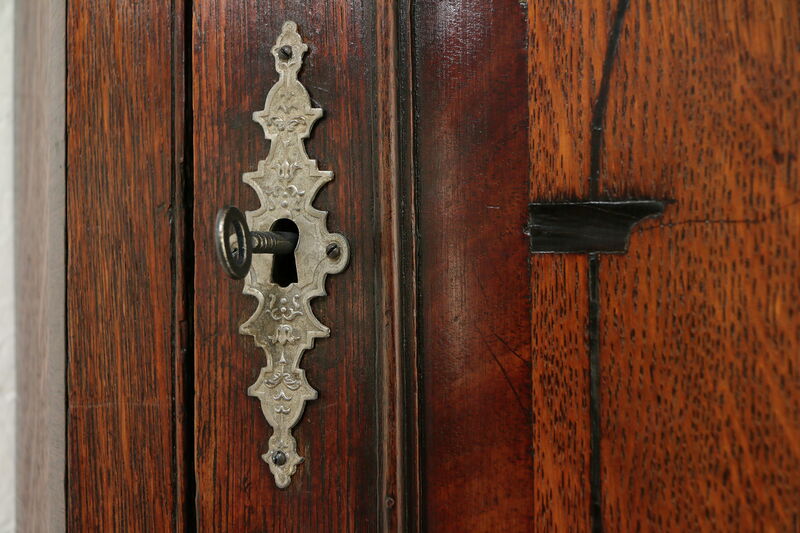 The door has delicate inlaid marquetry and a working lock. 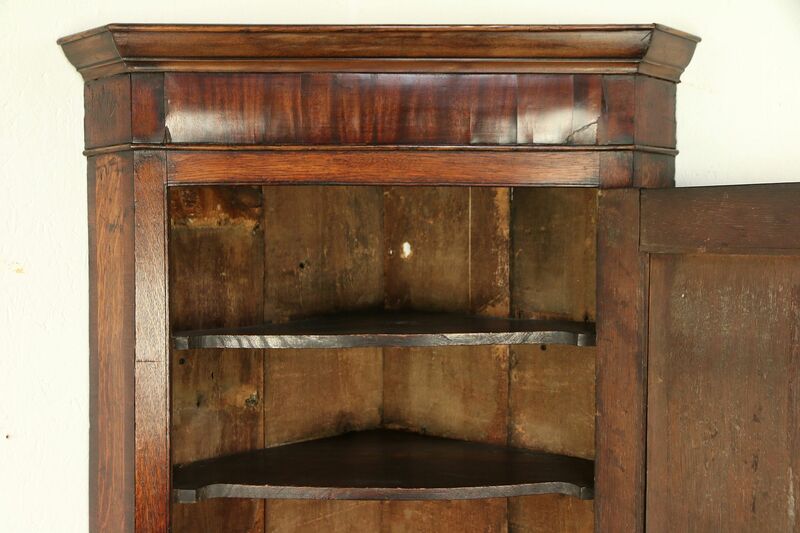 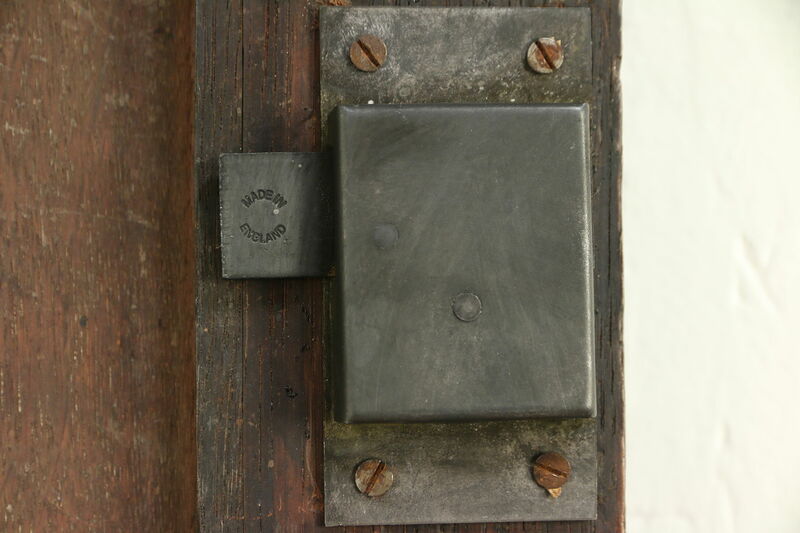 The old finish is very well preserved and has been waxed and buffed. 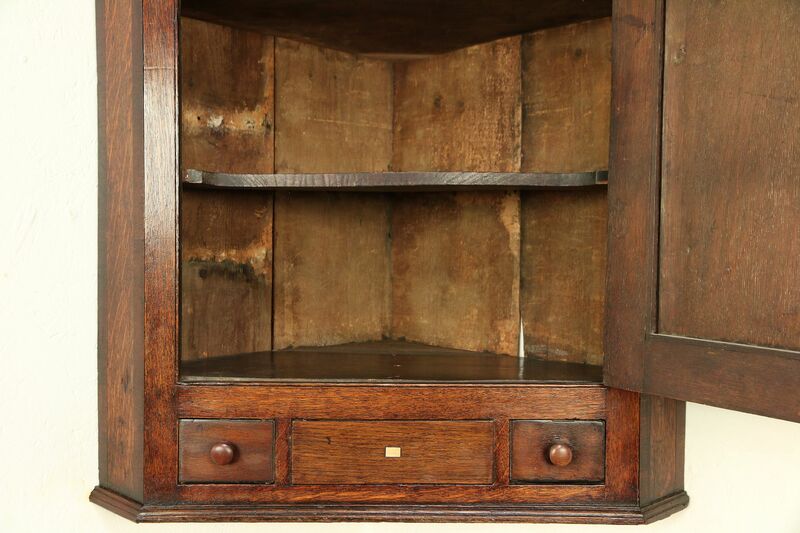 There are shrinkage separations, wear and stains for a little antique character. 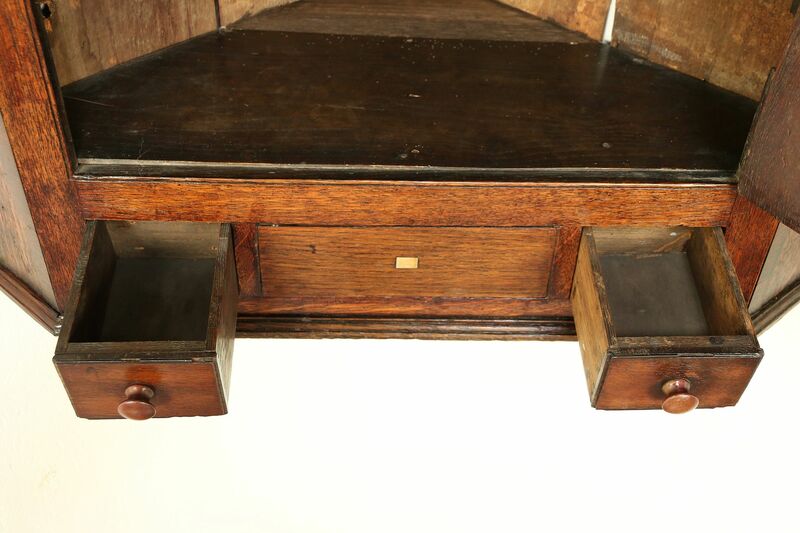 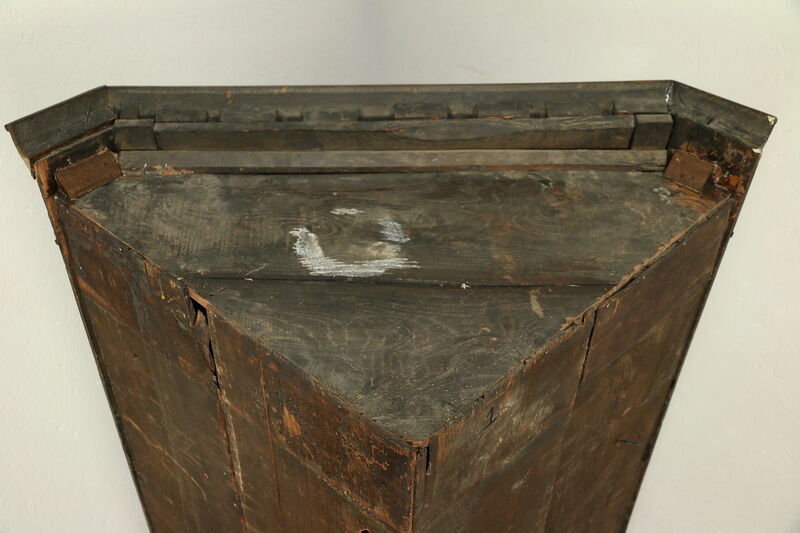 At the bottom are two tiny drawers on this English furniture. 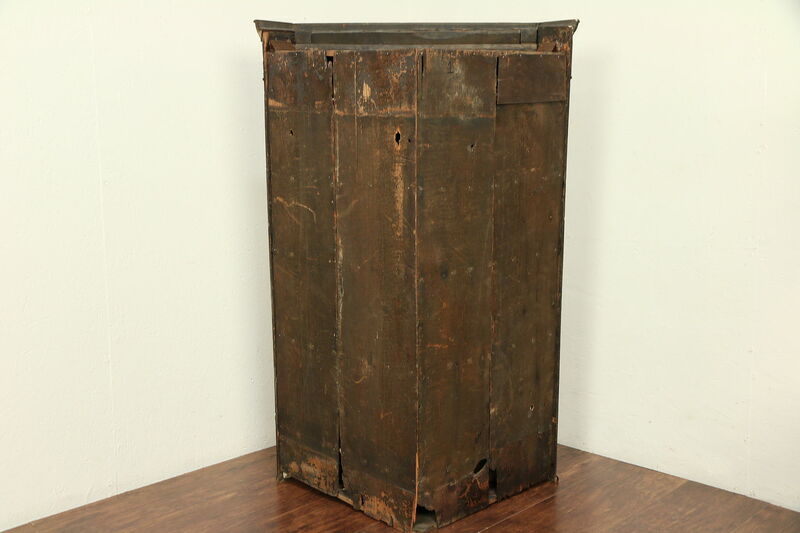 Size is 30" across the crown tip to tip, 45 1/2" tall and sides are 30" from the back corner to the front tip.